Dave Deppen, CJF, is an American Farrier Association certified journeyman farrier. 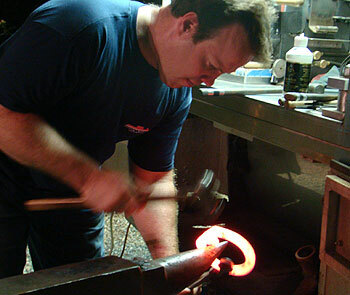 He is also a member of the World Champion Blacksmiths (WCB). He holds the office of treasurer at the Pennsylvania Professional Farriers' Association (PPFA), and is active in the regionally oriented Delaware-Maryland-VirginiaFarriers Association (DELMARVA), the Maryland Farriers Association (MFA), and the MidEastern Farrier's Association (MEFA).